← When do the Tulips Bloom? Take the #1 rated Seattle tour based on Tripadvisor.com reviews to Snoqualmie Falls and then tour the city with us. We are not a simple transportation company that only drives you around the city and point out different locations through the windows with one or two quick 5-10 minute stops. With Shutter Tours, we take the time to stop and explore the locations allowing you to have a richer Seattle experience and help you with simple photos tips on your scenic tour. Our tour begins with either a hotel pickup or meet your tour guide at the Pike Place market at 10 AM. As we make our way through the city, you’ll learn the history of the city, how the Great Seattle Fire of 1889 became an important event to turn Seattle into a major city and explain the “Underground” of Seattle. We then make our way on I-90 over the worlds second longest floating bridge. Your guide will then share some fun facts about Bill Gates house as you cross Lake Washington and make your way to the Cascade Foothills. Your first experience in the Cascade foothills will be a drive through the town of Snoqualmie, the real “Twin Peaks” of the Pacific Northwest. 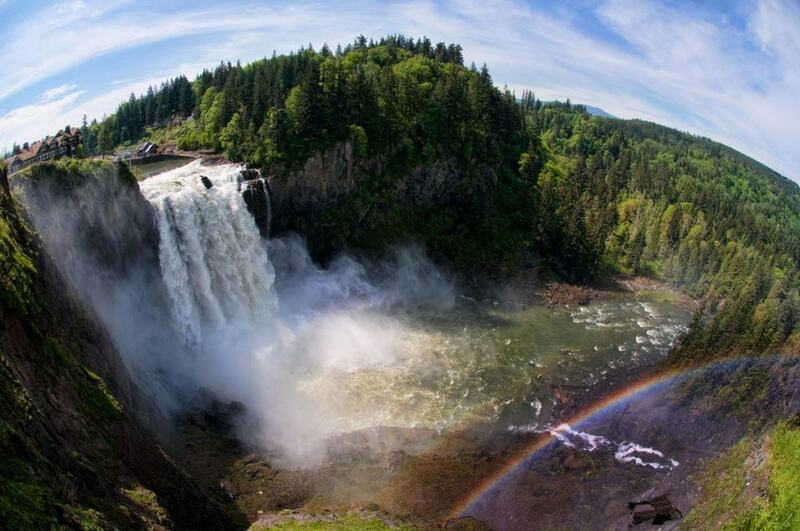 Then you’ll enjoy the majesty of Snoqualmie Falls, which is sure to be a favorite memory on your tour with us. Your first experience in the Cascade foothills will be a drive through the town of Snoqualmie, the real “Twin Peaks” of the Pacific Northwest. Then you’ll enjoy the majesty of Snoqualmie Falls, which is sure to be a favorite memory on your tour with us. Next stopping point is the Fremont Troll where you can take some time to get some photos of this one of a kind piece of public art. As we drive through Fremont, you’ll see a 16′ tall statue of Bolshevik Russian Communist revolutionary Vladimir Lenin. Your guide will share with you how this statue arrived in Seattle and the story behind its history. We then stop at the Ballard Locks also driving through Fisherman’ Terminal where you’ll see the Pacific Fishing fleet. At the Ballard Locks, you may see migrating salmon going through the locks system, Sea Lions, Eagles, and maritime traffic as they navigate this engineering marvel. Next, we take in the #1 rated location in Seattle for taking a photo of the skyline, the picturesque viewpoint at Kerry Park. We arrive back at the Pike Place Market at 2 PM for you to continue your sightseeing of the city with a newfound love of the city and photography composition tips to help you take postcard perfect photos on the rest of your vacation. 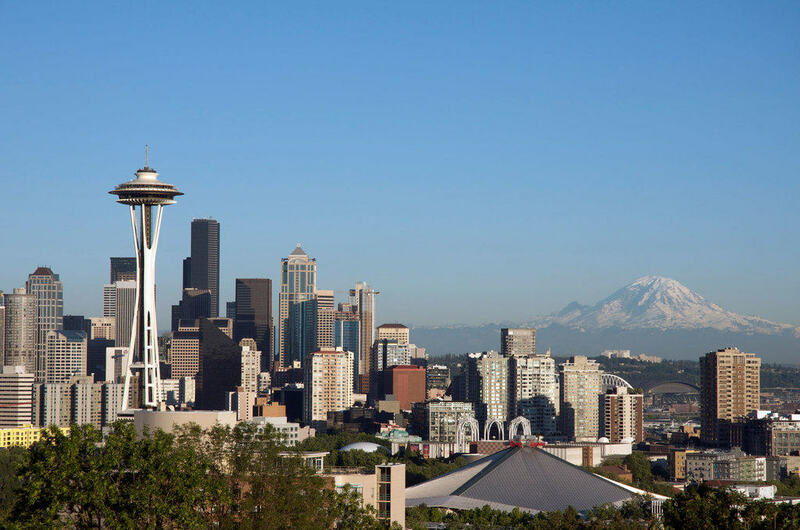 With many sights in-between you are sure to thoroughly experience Seattle and all the beauty and culture the city has to offer. We are also proud of our testimonials received from our tour participants through the years. Our itinerary ensures adequate time spent at each location allowing individual feedback and suggestions from our guides. We’ve done all the work and planning, so you can spend your time having a positive experience. We offer a 10% discount for 4 or more people at checkout, so bring along a friend. Just like all our tours, we “Focus” on getting you to the most picturesque locations and helping you become a better travel photographer. Shutter tours is rated a “Top 5” tour by those who rate us on Tripadvisor.com, so you know we are a trusted and respected company. Use the Snoqualmie Falls and City Tour link to book online. This entry was posted in Seattle Info, Tours. Bookmark the permalink.